Random Beauty… Butter Me Up for Winter! It’s that time of the year again. Cold air outside. Warm, central heating inside. Scratchy tights and long boots. These are all great things, but they can play havoc on your skin. My legs, in particular get very dry and itchy, and I need something really rich and nourishing to get them back to condition. I’ve got loads of normal body moisturisers, but this year I was after something better. Something thicker and more effective, that didn’t mean I ended up wasting half a bottle of liquid at a time. Laid Bare to the rescue (available from MyPure)! Hopefully you can see from the image (sorry it’s really hard to take a photo of white cream in a white tub) this really thick, dense cream. It’s a gorgeous mix of organic shea butter, rosehip oil, avocado oil and essential oils, enriched with Vitamin C. It’s the best body cream ever! I found that I need very little each time, as it goes a long way. It’s thick and smooth, and glides on. I found it doesn’t make my legs feel greasy or oily, and I can get dressed straight after applying it. It’s really helped my legs and they actually get less itchy now. I guess my body is holding on to some of the lovely moisture. I’ve also seen some marks and scars I’ve had on my legs for a while now start to reduce too. Used for generations to heal and protect, Shea Butter is essentially a super-food for the skin. It’s absolutely loaded with essential fats, fatty acids, phytosterols and vitamins. Queen Nefertiti wasn’t crazy about it for nothing! Extracted from the wild rose, and found in the southern part of Chile, this gorgeous oil contains a multitude of fatty acids. These provide a great treatment for dry and damaged skin. 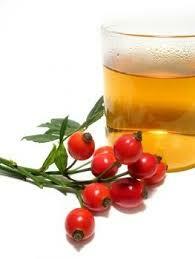 Rosehip oil is readily absorbed, so it won’t make your skin oily. We know that the good fats and vitamins in avocados make them great for us to eat. But did you know that the oil is wonderful for the skin, and one of the most healing oils out there? The key is in the antioxidants, which can sooth and heal sore and damaged skin. The Vitamin E can reduce inflammation and itching, as well as softening dry and cracked areas. This gorgeous blend of oils and butter is also gently fragranced with the unique Laid Bare blend of jasmine, bergamot, patchouli, vertiver and ylang ylang. This blend is designed to promote relaxation and lift the mood. I must say, it’s very effective, and a nice extra benefit when moisturising after a long day, or a warm shower. What’s your favourite way to keep moisturised during the winter? Do feel free to share your favourite natural lotions or oils. Thanks for reading. Keep warm and keep smiling! I was sent this product to try from MyPure. All opinions are my own. Next Post Random Stuff… Green is the new Black. Green Friday Deals! She butter and avocado sheet masks are my absolute fav for winter.